Twenty budding Nigerian writers have made it the next stage of the creative writing competition organised by renowned financial institution, Guaranty Trust Bank (GTBank). The 20 lucky writers were chosen from over 1000 stories sent in by applicants since the GTBank Dusty Manuscript Contest opened. The judges, which include renowned authors like Eghosa Imasuen, Yejide Kilanko and Toni Kan, as well as an Assistant Professor of English Language Dr Ainehi Edoro-Glines, carefully selected the top 20 entries based on originality, language, grammar, narrative strength, coherence and dramatic intensity. The authors of the shortlisted manuscripts will now proceed to a 2-day Writers Boot Camp where they will interact with and learn from accomplished authors on the art and business of writing. 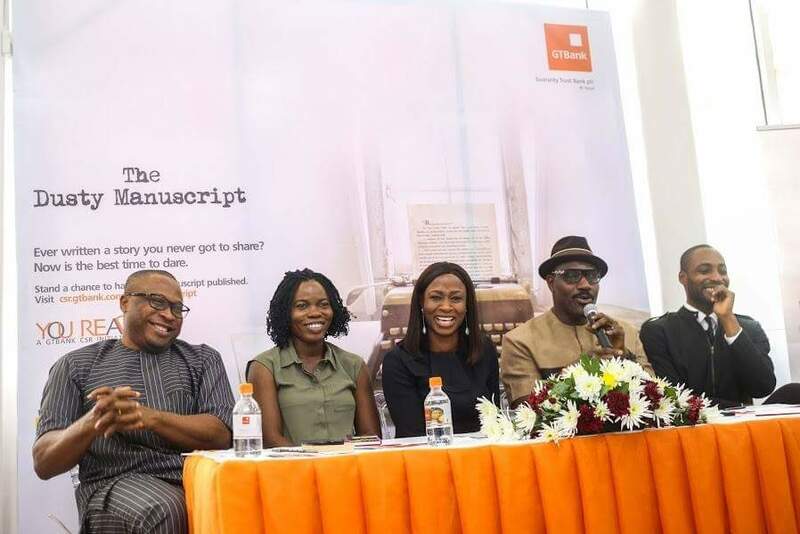 Organized in partnership with publishing houses Okadabooks and Farafina, the Dusty Manuscript Contest is part of GTBank’s YouREAD initiative aimed at promoting the culture of reading and inspiring the next generation of award-winning and globally renowned authors.